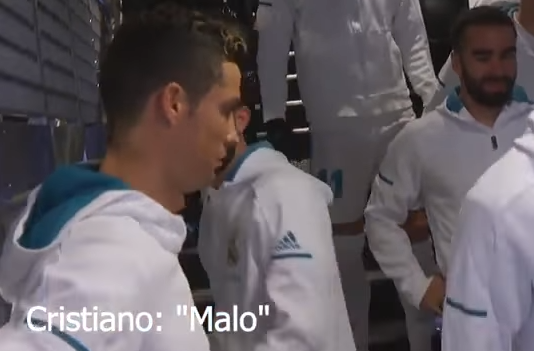 Current World’s best footballer, Cristiano Ronaldo prompted a fit of giggles from his Real Madrid teammates prior to Sunday’s 7-1 win over Deportivo by engaging in a Lionel Messi trash-talk with the club’s mascots. The five-time Ballon d’Or winner scored twice in the game, though suffered a bad cut on his head in the process of netting his second goal. 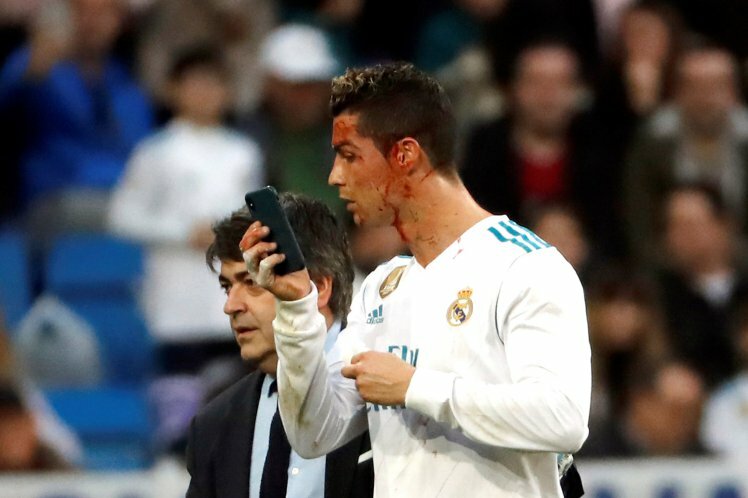 He left the field covered in blood, but not before checking the damage on his medic’s phone screen, and some Barcelona fans who didn’t get the ”Messi joke” considered his injury karma.